Mold Concerns? Call Me ! Keep the building and furnishings dry. When things get wet, dry them quickly (within 24 to 48 hours). Perform routine cleaning, maintenance and repairs. The key to mold prevention is moisture control. Water intrusion into buildings or a building's crawlspaces should be controlled. If water enters a building through a leaking roof or because of a flood or accident, it should be removed immediately and the affected areas should be dried out. Special attention should be given to areas that are hidden, but that might have gotten wet. Areas behind walls and in ceilings, crawlspaces and attics are frequently overlooked and not dried carefully. In general, all wet areas should be completely dried within 48 hours to prevent mold from growing. 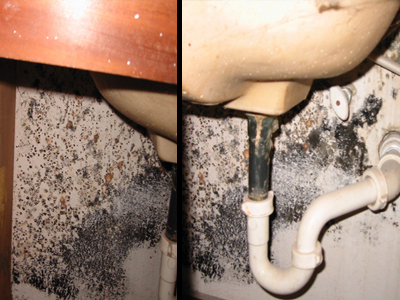 A number of items frequently subject to mold problems should be checked and maintained routinely. Furnace humidifiers must be cleaned regularly to prevent mold and bacterial growth. Ducts in which humidifiers are installed should also be checked to ensure that water has not leaked into the furnace or filter areas. Stand-alone humidifiers should be cleaned frequently to ensure that they are not moldy. Pay special attention to any filters in the humidifier because they can become moldy, and the humidifier can spread spores throughout the area. Carpeted areas around the humidifiers should also be monitored for wetness. Humidifiers should be set to produce less than 60% relative humidity in the building. Relative humidity greater than 60% is likely to result in condensation in the building, and that can lead to mold growth. HVAC systems should be checked routinely because mold in a ventilation system may be spread throughout the building. Drain or condensate pans should also be checked regularly because they can become reservoirs for mold and bacteria if they are not installed and maintained properly. These pans are designed to remove water produced by cooling hot air from the ventilation system. If the pans do not drain, or are not cleaned frequently, they may allow water to enter the HVAC system and contaminate the ventilation ducts in the building. The pans themselves may grow mold and allow mold spores to be spread throughout the building. Filters for the HVAC system should be kept dry and should be changed frequently. Toilet and bathroom areas should be carefully monitored for water and plumbing leaks. Rippling wall coverings, cracked drywall tape, peeling paint, and other signs of water damage should be investigated immediately. Such signs often indicate that water has leaked somewhere, and hidden mold growth and damage are likely. Water seepage into crawlspaces and basements should also be stopped quickly to ensure that mold will not grow. Additional measures, such as installing sump pumps and/or re-grading the area around the building, should be considered to prevent future leaks. Any areas that smell moldy or musty should be investigated to ensure that water has not entered and that mold is not growing. Buildings should be located, built, landscaped and renovated with consideration for the climate. A building that is not suited to the climate can develop moisture problems. Buildings inevitably will get wet, both inside and out, and they must be allowed to dry or mold will grow in them. Selection and location of a building's materials and furnishings should also be made with mold prevention in mind. In areas which experience frequent moisture due to rains and/or elevated levels of humidity, more mold-resistant materials should be used; for example, some woods are more resistant to mold than particle board or pressed board. Moisture control is the key. Keep the building clean and dry. Dry any wet or damp areas within 48 hours. Fix leaky plumbing and any leaks in the building's envelope as soon as possible. Watch for condensation and wet spots. Fix the sources of moisture problems as soon as possible. Prevent moisture due to condensation by increasing surface temperature or reducing the moisture level in the air (humidity). To increase surface temperature- INSULATE ! To reduce the moisture level in the air, repair leaks and increase ventilation (if outside air is cold and dry), or dehumidify (if outdoor air is warm and humid). Keep heating, ventilation and air conditioning (HVAC) drip pans clean & flowing properly. Vent moisture-generating appliances, such as dryers, to the outside, where possible. Maintain low indoor humidity, below 60% relative humidity (RH), and, ideally, between 30% and 50%, if possible. 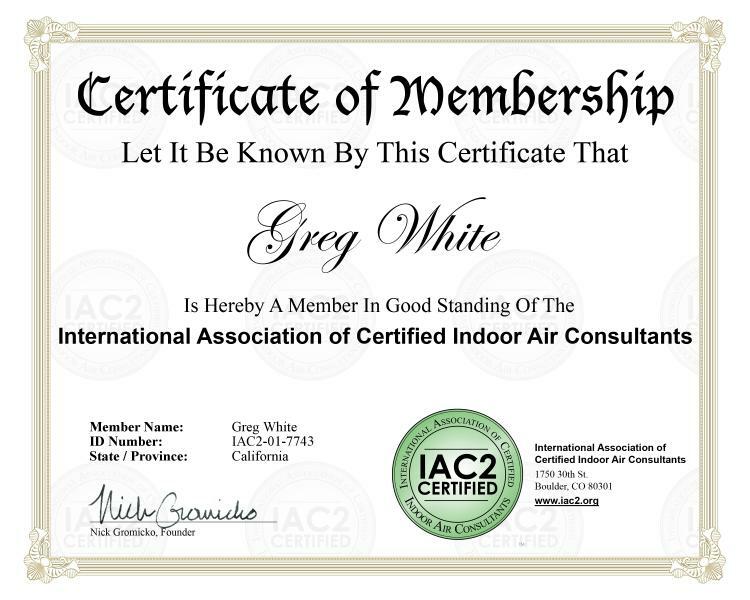 Perform regular building and HVAC inspections and scheduled maintenance. Don't let foundations stay wet. Provide drainage, and slope the ground away from the foundation. If you are not experienced with home and building repairs, you may want to consult a professional when making necessary repairs, or for assistance related to mold-prevention changes to your home or building.